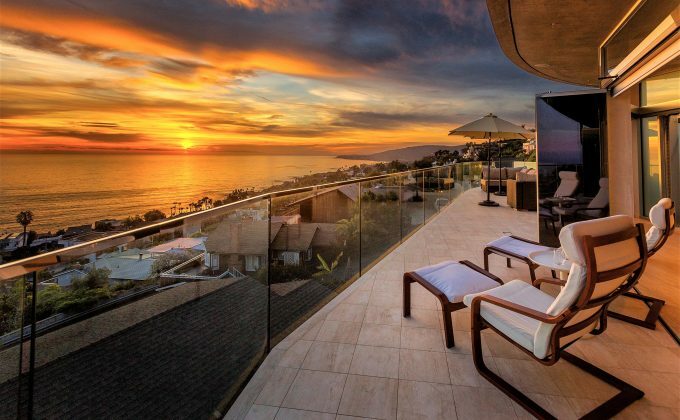 This classic 21st century, yacht-inspired dwelling boasts panoramic views of the coastline and Catalina Island, with a smattering of city lights in the foreground. 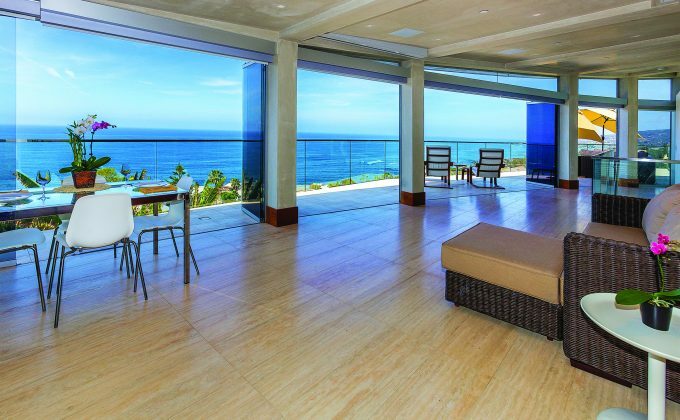 The ocean-close home features 577 square feet of view deck, accessible through an ocean-facing wall of frameless glass panels that open the entire side of the home to the outdoors—Southern California seaside living at its finest. This hi-tech home is program-controlled via a Control4 smart automation system for easy use of lights, blinds, bathroom and kitchen exhaust fans, alarm sensors, music, TV, HVAC systems, and outside motion detectors. A garage car elevator allows for two cars in a single-wide garage, plus possible storage of a third.